Helping others is a key initiative for Santa Rosa County Farm Bureau. Members have developed a program that feeds 500 needy area residents at Thanksgiving. The Thanksgiving dinner is a major charitable event in northwest Florida. Local growers provide sweet potatoes and the West Florida Research and Education Center (WFREC) supplies greens and other leafy vegetables through the Bay Area Food Bank. Members of the Okaloosa County Farm Bureau and the Escambia County Farm Bureau also participate. 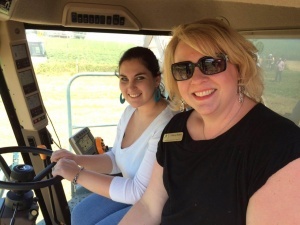 The Escambia, Santa Rosa and Okaloosa County Farm Bureaus also collaborate in organizing a farm tour for elected officials and their staff members each August. Volunteers invite local, state and federal elected leaders to visit selected agricultural operations throughout the area. The Santa Rosa County Farm Bureau provides college scholarship for children of Farm Bureau families pursuing agriculture-related careers.